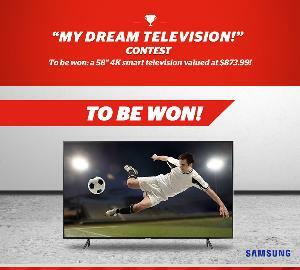 This contest has been marked as a duplicate of “My dream television!”. Prize: Samsung 58″ 4K TV ($873.99). Statistics: This contest was opened by 47 and entered by 11 ContestChest.com members. 23% of those who opened the contest, entered it.